Professor Anthony Neuberger has been appointed as Head of the Finance Faculty at Cass Business School. Professor Neuberger will work with other senior academics to lead the Faculty, which is one of the largest and widely recognised finance faculties in the world. 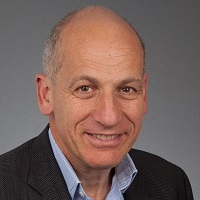 Professor Neuberger joined Cass as Professor of Finance in 2013 after a distinguished career in the civil service and academia, most notably at London Business School and Warwick Business School. His research interests include option pricing and hedging, market microstructure and pensions policy. He has published in the Journal of Finance, the Review of Financial Studies, and the Journal of Financial and Quantitative Analysis and consulted for government, banks and stock exchanges. The Cass Finance Faculty comprises over 50 full-time faculty and about 20 visiting faculty, with over 1200 undergraduate and more than 900 postgraduate students. It is ranked fourth in Europe and 32nd in the world for finance according to the latest rankings of economic research at IDEAS. Professor Neuberger said he was delighted to be appointed. Professor Marianne Lewis, Dean of Cass Business School, said she looked forward to working with Professor Neuberger in his new role. Find out more about studying finance at Cass here.